Hello! First time posting on here. 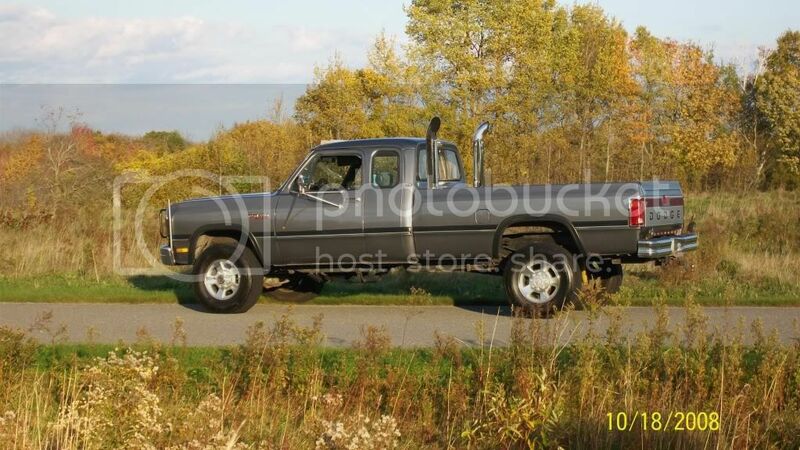 I am going to repaint my 93 W250. It is currently WHITE/ SILVER two- tone and I will be repainting with the factory two tone GREY/ SILVER. I searched on here before posting but am not sure what the correct paint codes and names are. Any help would be appreciated! Dark grey is PS7,,,, will have to look for the other one. My 93 was that combo but I changed it all to PS7 instead of 2 tone. To lazy for 2 tone. your truck is sharp Richie! Good lord man.........I hadn't seen a visual of that truck since your rainy stack revving YouTube vid........Nice!! Its hard to believe its been since 2007 on the paint. Still looks ok, but no winter driving.